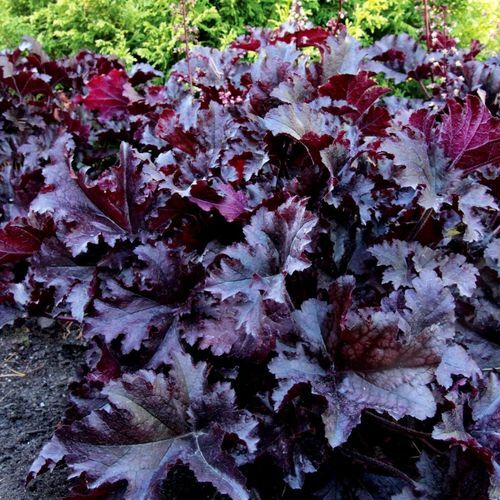 Evergreen perennial, with very.....very dark, almost black, purple ruffled leaves and small white flowers which seem to shine off the foliage in the late spring and early summer. Very easy to grow and superb in containers as well as the border. Give it a fertile soil in sun or shade and it should grow well for you. Don't plant too deeply, the crowns must be kept uncovered.